Is artificial intelligence the “single most transformative technology in modern history?” That’s the view of Tom Chittenden, who leads WuXiNextCODE’s AI program. And Tom is not alone in his enthusiasm, as numerous analysts are predicting this technology will be one of the fastest growing fields in the world. In recent talks at Boston’s BioIT World and the EmTech conference in Hong Kong, Tom described some of the strides we’ve been making with our DeepCODE AI tools. Their power is in part thanks to a novel, causal statistical-learning method and deep-learning classification strategy. 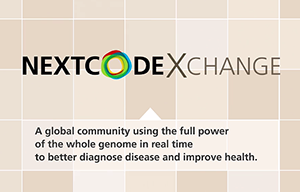 But another advantage is that they were built on—and are extending the reach of—our global platform for genomic data. That means that Tom’s team has that rare combination of both of the key ingredients to AI making an impact in biomedicine: cutting-edge algorithms AND deep domain expertise and access to the biggest datasets. Tom—who also holds appointments at Harvard, MIT, and Boston Children’s Hospital—and his growing team have the former in spades; our platform and expertise in genomics provide a key edge in the latter. Our platform has been built over more than 20 years and today underpins the majority of the world’s largest genomics efforts and includes all major global reference databases. 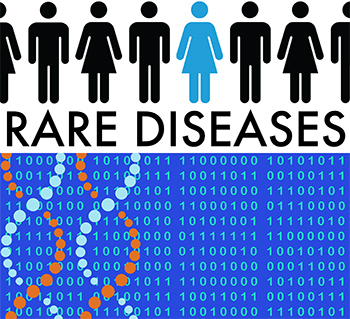 It stores, manages, and integrates any type of genomic data and correlates it with phenotype, ‘omics’, biology, outcome, and virtually any other type of data that may be relevant to a particular medical challenge. That means that we can routinely train and test our AI tools on some of the most comprehensive data sets in the world, such as that in The Cancer Genome Atlas (TCGA). “Today we can take ‘omics data and clinical information and map those to curated resources such as SNOMED CT and biomedical ontologies, and then use AI to identify patterns that lead us to novel findings,” Tom says. This is a powerful approach to tease out which of hundreds of genetic variants are really involved in a particular disease, based on which ones are actually associated with aberrant expression pathways. You may find hundreds of genetic mutations in a single type of breast cancer tumor, for example, but it is determining which ones are drivers of the disease that matters. Put simply, AI can lead us to both better diagnoses and easier discovery of more and better drug targets, by taking a range of genomic data and marrying it to clinical information and scientific knowledge. AI is not just going to better match patients to the right drugs, it is going to help further our understanding of the relationships between genes and complex molecular signaling networks, one of the most challenging arenas in our field and the most sought-after starting point for discovering validated pathways and targets. Valuable insights in real-world medical challenges are already emerging from this AI effort uniquely developed on and applied to the genomic and medical data that counts. 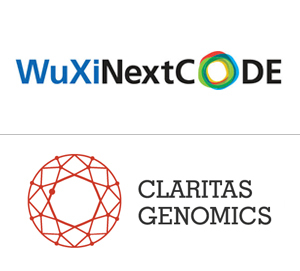 WuXi NextCODE recently presented preliminary data from analyses using our novel AI technology to diagnose subtypes of tumors. 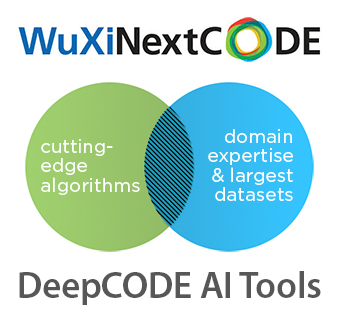 Our DeepCODE tools were validated on six patient-derived tumor xenografts from mouse models, and then tested against approximately 8,200 human tumors from a collection of 22 cancer types in The National Cancer Institute’s TCGA collection. That study included five ‘omics data types. We achieved 98% accuracy overall, and our analyses of human breast and lung cancer subtypes were accurate in 96% and 99% of cases, respectively. This points to an improvement over current methods for matching patients to treatments for their particular cancer, and we have refined that accuracy further still. This capability is also going to be central to the development of liquid biopsies. In another oncology study, using the same multi-omics data, DeepCODE identified a signal predictive of survival across 21 cancers, pointing to novel and holistic pathways for developing broad oncotherapies. A recent study published in Nature, meanwhile, describes a potential new role for a well-known growth factor. That report, led by Yale University scientist Michael Simons, looked at blood vessel growth regulation—a crucial process in some very common conditions, including cardiovascular disease and cancer. Our Shanghai team provided RNA sequencing for this study. Our Cambridge AI team drove some of the key insights pointing to novel disease mechanisms. Simons’ team studied knockout mice, whose fibroblast growth factor (FGF) receptor genes were turned off. They proved, for the first time, that FGFs have a key role in blood vessel growth, uncovering some metabolic processes that were “a complete surprise,” according to scientists on the team. Further, they mapped out pathways that could help provide new drug leads. Our AI team is just getting started. We’re looking forward to many more intriguing findings from this group as they leverage their expertise and massive amounts of the relevant data to improve medicine and healthcare.